1. 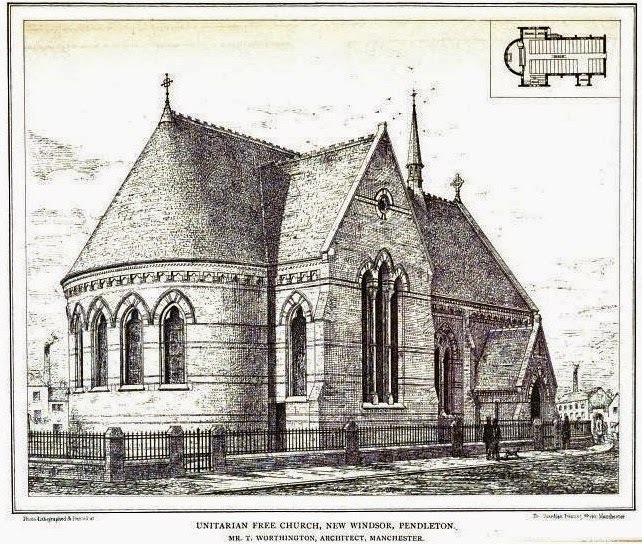 Unitarian Free Church, Pendleton (Cross Lane) was founded on 20 January 1861 as a mission, and operated from a small chapel on Ford Street, Pendleton, As the congregation grew, it was decided to build a new church on Cross Lane, which opened on 2 June 1874. Its first minister was Robert Laird Collier, an American. It was built to accommodate about 400 people. 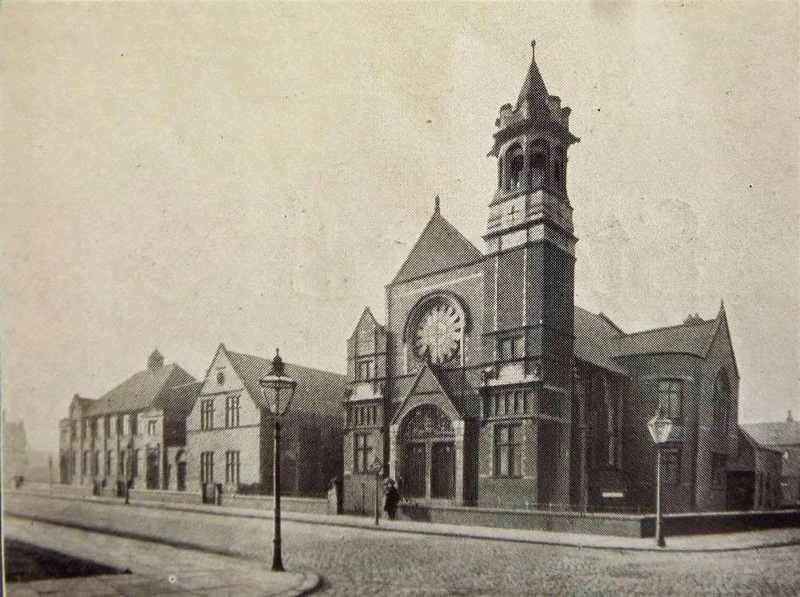 Budgetary constraints demanded that its red-brick construction did not exceed £3,000, The church was designed by the local architect, Thomas Worthington, himself a Unitarian. It had a semi-circular chancel, and contained a First World War memorial. 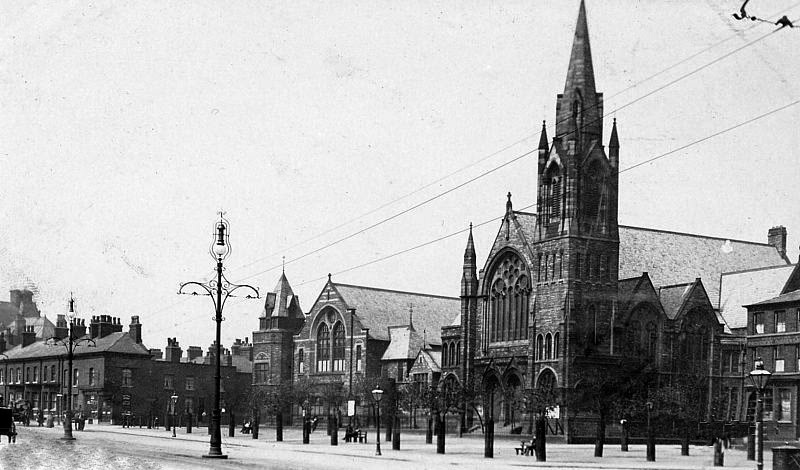 The Victorian church was demolished in 1976, eventually to make room for a more modern icon. 2. 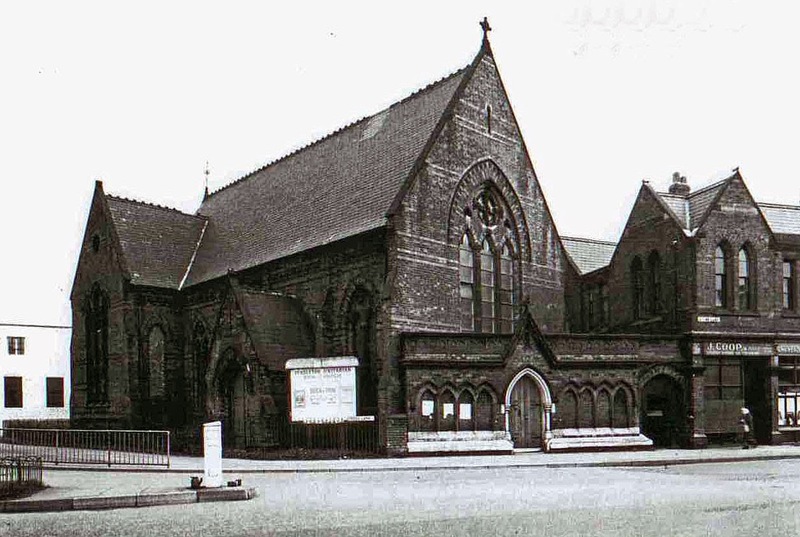 St John Methodist Church, Weaste was located on the corner of Langworthy Road and Liverpool Street. Pevsner (1969) dates it to 1891/2, but the church registers show that baptisms were conducted there as early as 1878. 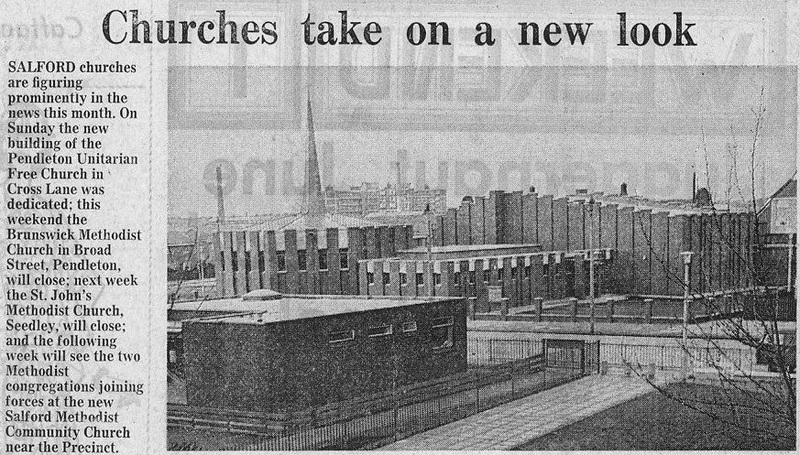 It was demolished in the late 1970s. The church contained a stained-glass memorial window and bronze plaque to the First World War dead -- lest we forget? 3. 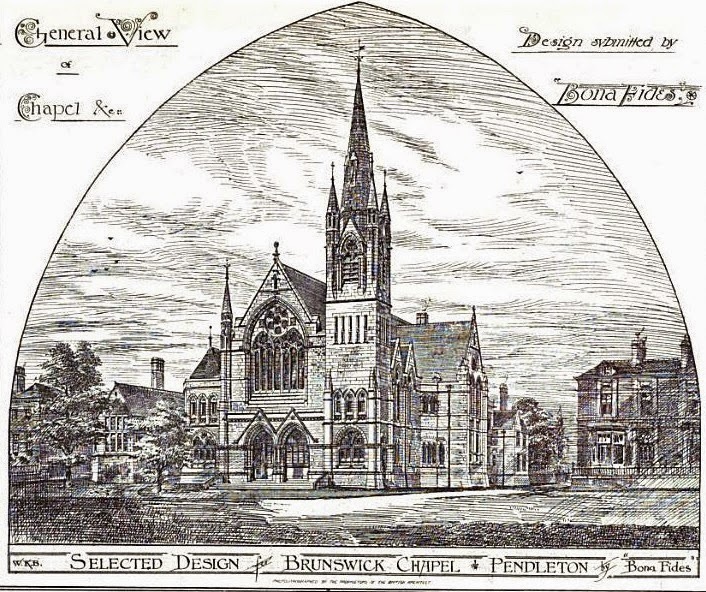 Brunswick Wesleyan Methodist Chapel, Broad Street, Pendleton, The opening service of the newly built chapel took place on 15 April 1881, and it closed in 1977. 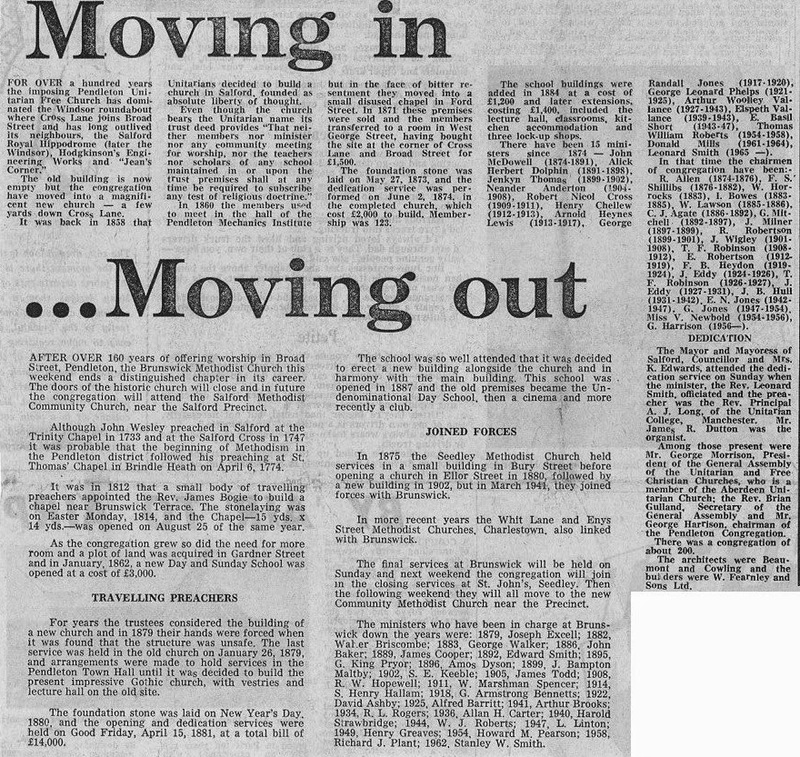 A petition to have the building listed, so that it might be preserved, was rejected by the Department of Environment. 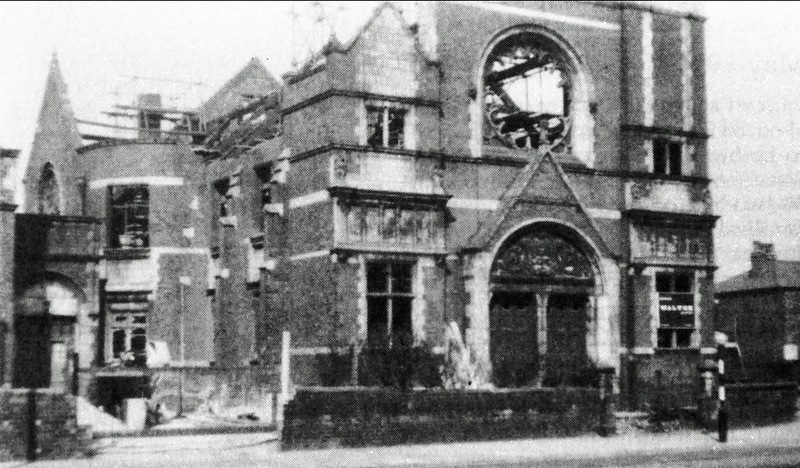 It has since been demolished. gallery, 302; fall seats, 70; scholars seats, 150, and choir 40. Mr. R. Knill Freeman, of Bolton. 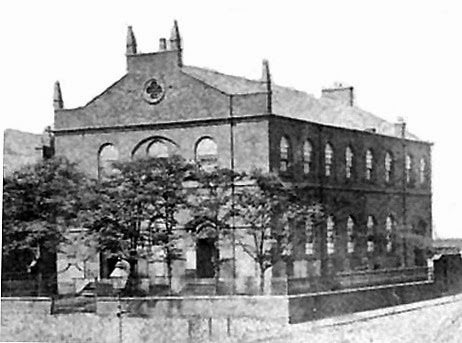 The church seen above was preceded by a more modest structure, which was opened on 28 August 1814 by the Primitive Methodist congregation. 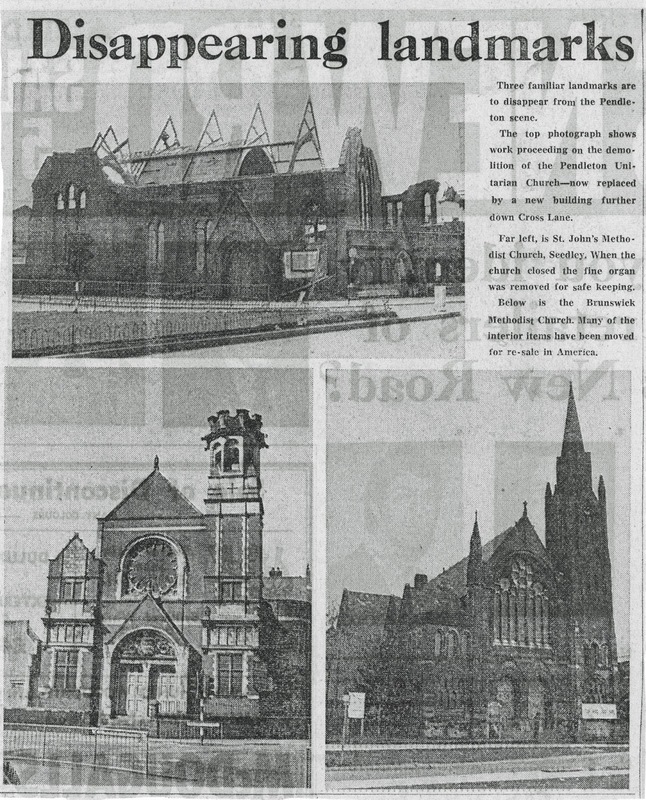 James Butterworth describes it in the following"
The chapel was built of brick and stone, and modelled on the Oldham Street Chapel in Manchester, Brunswick Chapel was enlarged twice before it was demolished to make way for the new building. By 1836 it could accommodate 600 worshippers. The chapel also operated a Sunday school. The cemetery of the chapel was closed, and its bodies exhumed and moved in 1879 in preparation for the construction of the new church.